Cashel Community School is pleased to announce the Godolphin Bursary which was initiated last year has been continued again this year. Godolphin is the global thoroughbred breeding and horseracing team founded by His Highness Sheikh Mohammed bin Rashid Al Maktoum, Vice President and Prime Minister of the United Arab Emirates and Ruler of Dubai. This bursary is open to all students at Cashel Community School who will sit the Leaving Certificate in June 2019. 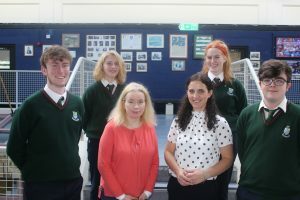 It will be awarded to a student who intends to continue full-time study at an Institute of Technology or University in Ireland, or at an equivalent institution overseas. The application and selection process will take place in September/October 2018 and will be based on a written application and follow up interview of shortlisted applicants by Godolphin Ireland personnel. The bursary will be awarded to one student. The recipient will receive a laptop computer along with €1,500 per year of third level study. The 2018 winner can avail of the bursary up to 2020 paid in two annual payments of €750 each.It is a condition of the bursary award that recipients give a commitment to undertake a minimum of 100 hours of voluntary work per 12-month period for the duration of the bursary. Voluntary work can be undertaken with charities, community groups or sporting organisations. Confirmation of hours completed will be sought before payment of each bursary instalment. Ms.Margaret Moore, Deputy Principal of CCS had the following to say ‘this generous award affords the winner significant assistance towards the cost of third level education while providing the recipient with a valuable piece of assistive technology. Not only does this bursary help students finance their education it also honours and recognises their hard work and dedication to their studies. We look forward to working with the Godolphin Ireland UC organisation in the forthcoming year promoting this wonderful bursary’. 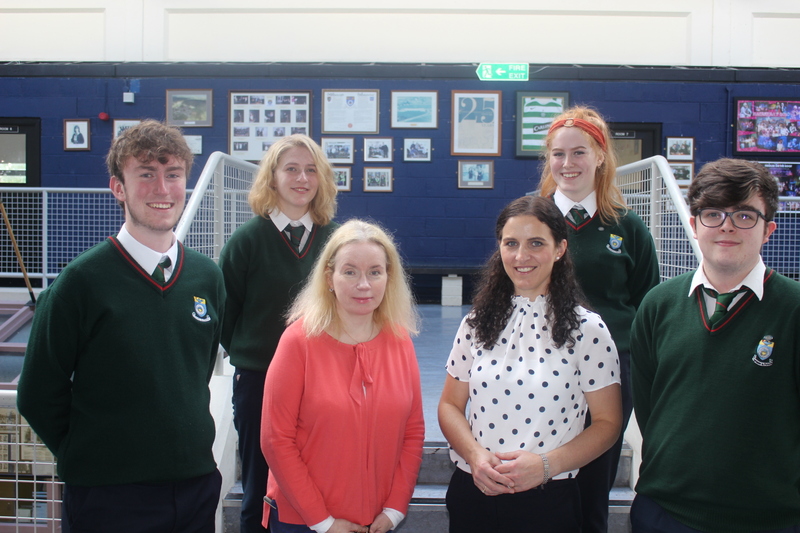 Ms. Margaret Moore (Deputy Principal CCS), Ms. Ciara Devitt Godolphin, James O’Sullivan, Aoife O’Connor, Caoimhe Crosse & Donnacha O’Dwyer.